We were on our way to a party somewhere near the area last Sunday and had some time to spare, so I suggested that we pay Happy Beans a visit. This gem is found on the second floor of the newly established Mall Of Korea around Metrowalk. Parking is free in the area. No need for validation. I was expecting the place to be full, since this place found its way around social media. Also, I've been to other boardgame cafes before, so I was ready for the noise thrilled gamers make. To my surprise, the place was quiet. There were a few customers chatting, playing some games, and eating. 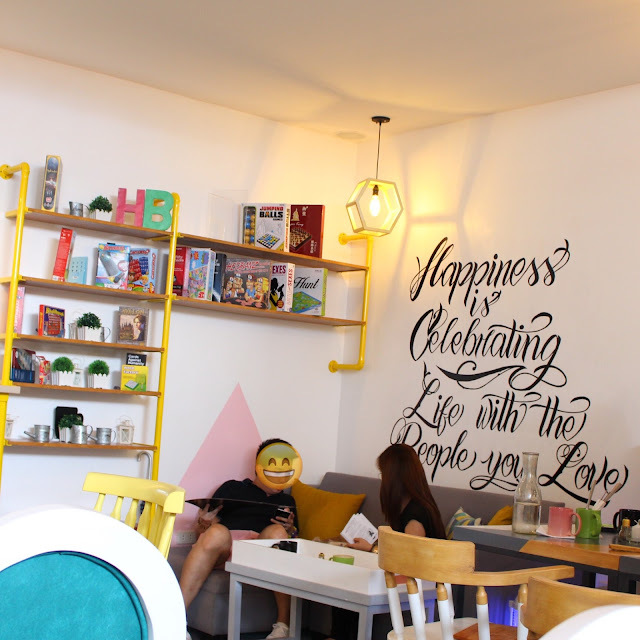 We sat down, and I ordered a rainbow latte for myself (P128, but had VAT and other additional charges, so I ended up paying P150) , as I didn't want to have a heavy meal, since we just finished lunch and were about to go to a party. I admired the relaxing ambiance of the cafe as I was waiting for my latte. My companion then helped himself and grabbed the colorful jenga set for us to use. 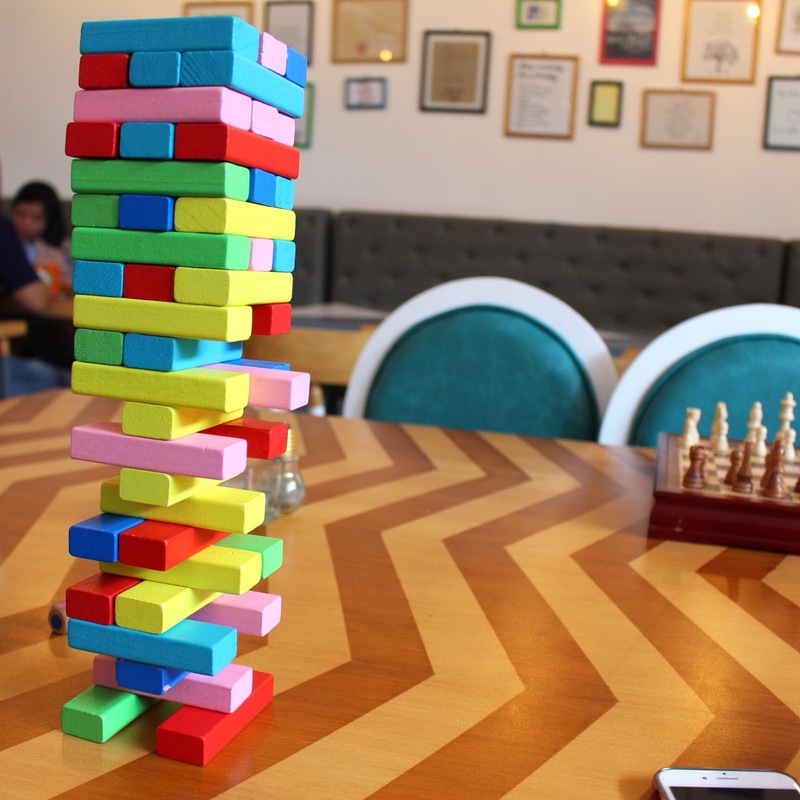 It's also great that this place doesn't charge a fee for the use of their boardgames (maybe for now), unlike other places offering similar experience. Every spot is incredibly but not heavily decorated and instagram-worthy. So as soon as my latte was served, I wasn't able to resist having a little photo op. 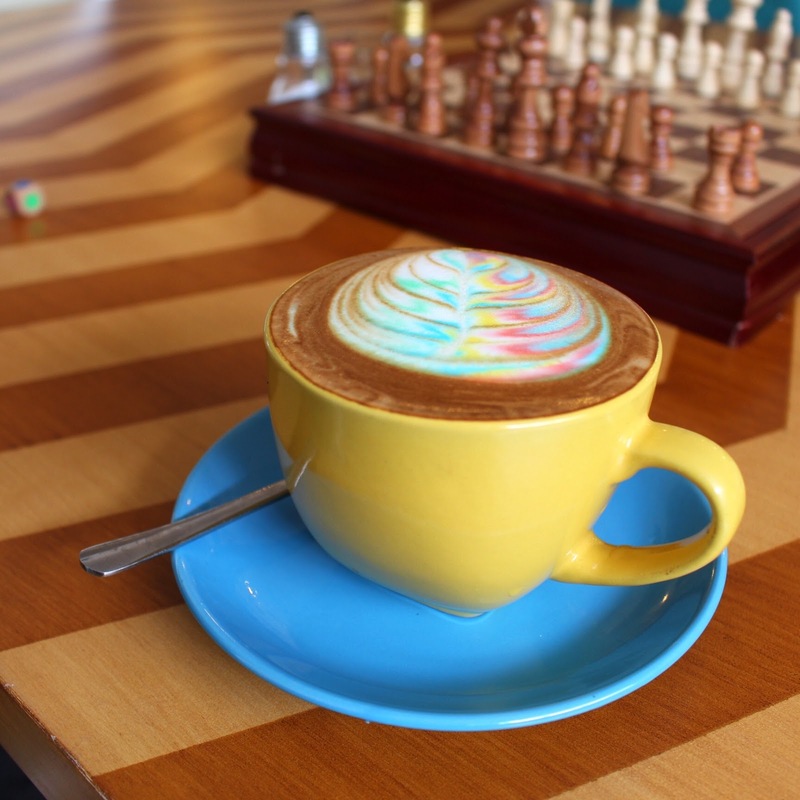 The rainbow latte wasn't that good. It had that strong, bitter coffee feel but was a bit tasteless at the same time. I'm not good with coffee but I think a little sugar might have helped, although I didn't request for it. I visited this cafe for the ambiance and the games alone, and I gotta say I had the right reasons for this trip. Being in a cozy atmosphere, playing some games with the ones I cherish is an experience worth paying for. I can't wait to come back. I hope the place isn't too rowdy yet when I return.